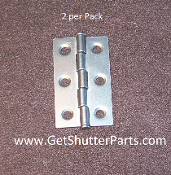 Create a new look for your Plantation Shutters with new shutter hinges or knobs. 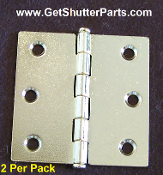 Choose from various sizes with polished brass, antique brass, brushed nickel / nickel satin & polished chrome finishes. For more information, simply click on either the picture or the name of the product to bring up descriptions, dimension diagrams or additional photos. 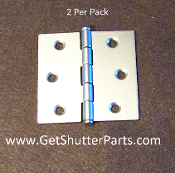 Plantation Shutter Hinge 2 1/2" X 2 1/2" (PB) Polished Brass Plantation Shutter Knob - Antique Brass - 3/4" Plantation Shutter Knob - Nickel Satin - 1 1/4"
Copyright © 2011-2019 Get Shutter Parts™. All rights reserved.